Search Based Applications: how do they work? Search-based applications provide a new approach for accessing the ever-increasing volumes of information available, creating a new, integrated work environment for information professionals in research, business intelligence, sales, CRM and customer support fields. 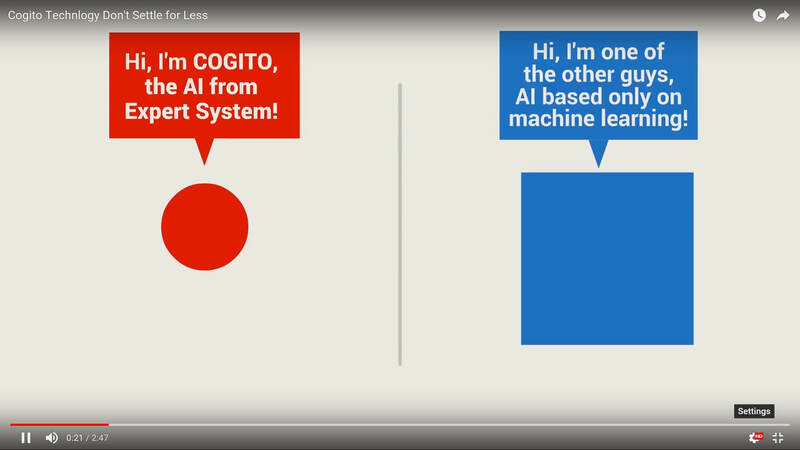 Artificial intelligence and cognitive features of the patented Cogito cognitive technology make all of your information available through an understanding of language. Cogito features for search based applications provide powerful indexing, classification and semantic search capabilities for information management, redefining how information is made available/accessed within the organization, even between different repositories. Our search based application for customer support is Cogito Answers. Answers leverages Expert System’s cognitive and semantic abilities to bring an understanding of human language to customer support and self-help applications. Cogito Answers understands any request and uses natural language search to discover and extract information from any knowledge base to provide customers with the best answer to their request. Cogito Answers meets customers’ expectations for excellent service and results in dramatically reduced costs for live customer care. Cogito Answers provides 90% accuracy in responding to users’ support requests via internet, mobile, SMS or any channel. Deploy Cogito Answers to optimize the performance of any existing search based application and to build custom search applications for enterprise knowledge management, customer support and self-service and more. Sue Feldman, former research vice president, search and discovery technologies, IDC.